A very good price for a machine with advanced features, good customer reviews and exceptional customer service. We’re usually very careful with our reviews to ensure we accurately report both benefits and flaws with any bread maker. 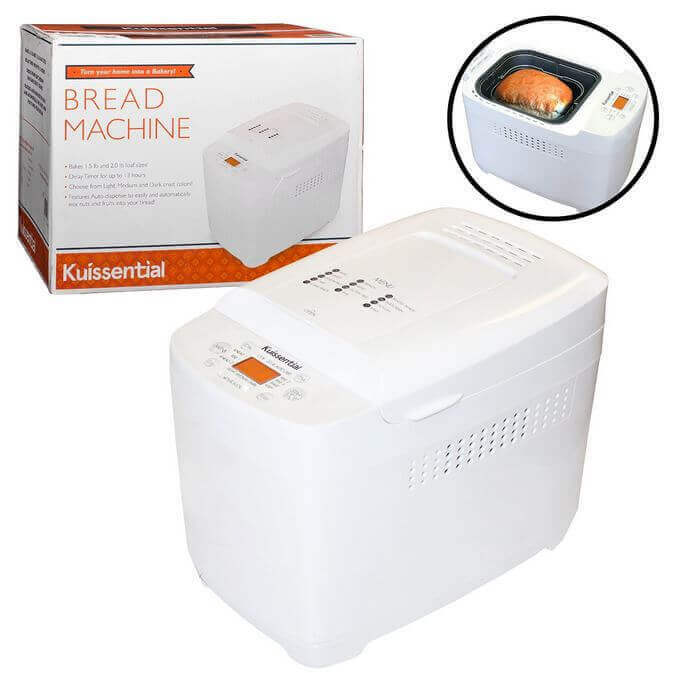 The Kuissential Bread Maker passes the tests on almost every front, with one minor complaint that emerges across all ratings from 5-star to 1-star. 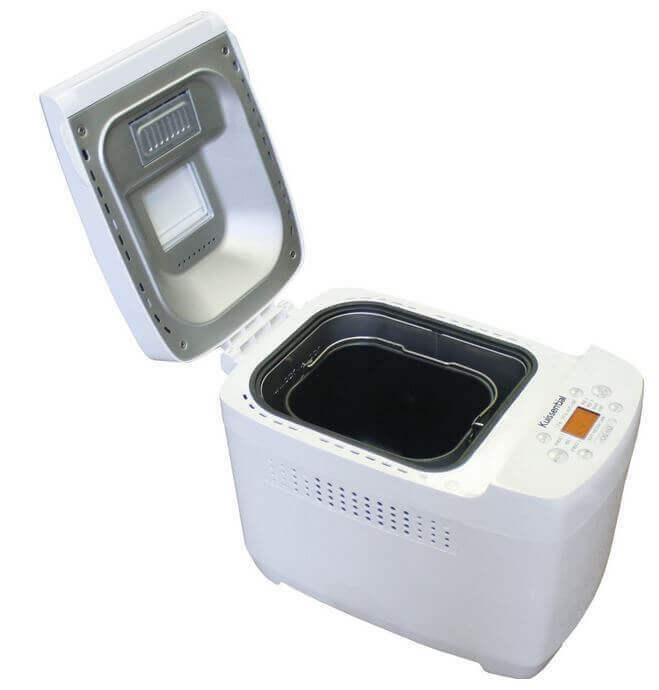 For the record, the Kuissential Bread Maker scores extremely high with owners on Amazon.com. Of 128 owners, 91% gave the Kuissential machine a positive rating across the top two-box scores of 5 and 4 stars with 73% awarding it 5-stars. Only 1% rated it at 1-star so Kuissential is obviously doing a lot of things the right way. 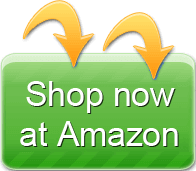 The machine is currently listed on Amazon for $99.99 although the standard retail price is $129.00 so shop around. It bakes a one and a half pound and two pound loaf in a vertical configuration. Significantly, it has an automatic fruit and nut dispenser, which is typically found on machines at twice the price. There were few if any complaints about the fruit and nut dispenser like we’ve seen in the past although one customer said all of her poppy seeds weren’t dispensed. That’s unusual. The most common lament with automatic fruit and nut dispensers is when fruits like raisins stick to the sides and never make it out of the hopper. That standard solution to that problem is to dust the raisins with flour first so they’re not as sticky. 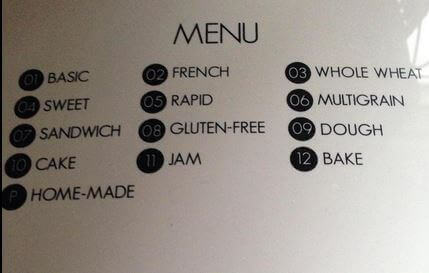 I can’t understand what the problem could be with poppy seeds unless they were moist or wet. Yes, first thing I tried as a test. Came out perfect. Like most bread machines it has a 13-hour delay cycle and a viewing window in the lid. It also has 3 crust settings including light, medium and dark. China it is probably a Teflon or Teflon derivative coating. The key with any bread pan for any bread machine is to never use a metal utensil in the4 bread pan. Use a rubber or plastic spatula if you need to separate the bread from the side of the bread pan. There were no complaints about this issue with Kuissential, but it will happen eventually with any bread machine depending on the recipe. A significant finding based on the customer reviews was the exceptional customer service from Kuissential. We damaged the paddle by accident, our fault, and they sent us a replacement, which was greatly appreciated. Many bread manufacturers offer varying degrees of customer service, but Kuissential seems to have made it a priority. Kuissential appears to be both easily accessible and highly responsive. That’s unusual for most of the manufacturers of bread machines we’ve reviewed so if service and support is important to you, keep that in mind. Across most of our reviews a common lament is the quality of the instruction books that accompany any bread machine. The Kuissential offers an instruction book but two complaints have shown up as a pattern across owners from 5-star reviews to 2-star reviews. The first complaint is that it offers minimal information about how to operate some of the more complex features of the machine. That’s unfortunate given the robust features the Kuissential offers. The second and biggest complaint is that no recipes are in the instruction book. Kuissential expects owners to go to their website to find recipes or to download and print them. This has an upside and downside. The upside is that they can offer new or seasonal recipes much like we do on our website. The downside is that there’s no easy access to a recipe in the kitchen drawer if you want to toss together some ingredients for a loaf of bread. Kuissential is actually a bit defensive about this decision and it’s the only contradiction we could find for a company that seems to offer exceptional customer service. These are few and far between with the Kuissential and seem to fall into the standard category of complaints for all bread machines. Things related to loaves falling after rising, crusts too dark or noise. These complaints were minimal if not insignificant for Kuissential and there was no apparent pattern to the complaints so we’re going to dismiss them. In our experience these kind of complaints are more the result of an inexperienced bread machine baker either not following instructions with regards to settings, or imprecise measurements with ingredients. Bread machines can’t magically fix improper measures or make any recipe gluten free. You have to carefully follow the recipe. We’ve developed many recipes for bead machines on our website and all have been kitchen-tested across a range of machines if your looking for an online recipe. Also, if you need a cookbook for bread machine recipes you can buy one, or download and print the recipes from Kuissential. Based on what we’ve seen in reviews the Kuissential recipes are very good, accurate and customers have had good results. The machine is relatively lightweight at 11 pounds but there are no complaints apparent from customers with regards to the machine moving around or falling off the counter during the kneading cycle due to its lighter weight. It measures 15.5 x. 10 x 12 inches. The specific model number of the machine we are reviewing is BMC-001. Yes, it is one year. 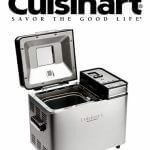 Across the board this is a very good bread machine for the money. It has robust features and its customer service is the best we’ve come across so far. We’d recommend you simply download and print their recipes from their website and toss those in the kitchen drawer. After that you should have good success and if you don’t, just call them and it sounds like they’ll make it all better.